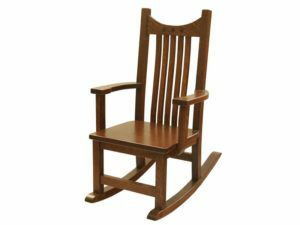 From traditional children’s rocking chairs to rocking horses and airplanes, child rockers from Brandenberry represent numerous ways kids in your family can have fun rocking. 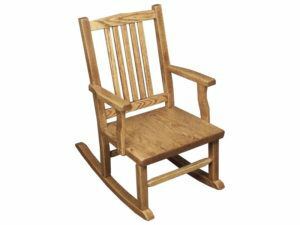 Plus, Amish artisans build each chair from solid hardwood – for incredible sturdiness and durability. A beautiful child’s rocker featuring Royal Mission style. 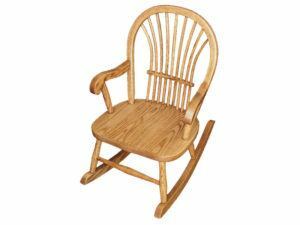 Fine craftsmanship and durability make the Hickory Child’s Rocker a perfect furnishing for children. The first thing you’ll notice about the lineup of child rockers from Brandenberry Amish Furniture (above) is the great variety. 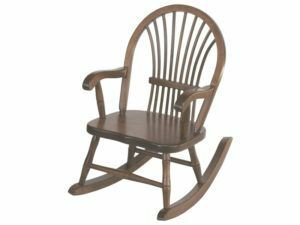 Because the collection includes traditional spindle rockers to several types of rocking chairs that promise to captivate your kids’ minds, whisking them into a world of make-believe. 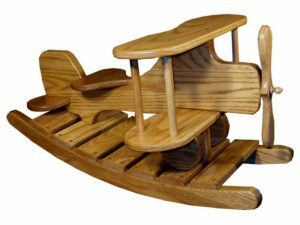 For example, imagine your child ‘taking off’ into the wild blue yonder while riding the airplane rocker. Or conquering the Wild West on a rocking horse. Sturdy construction. Yet, every rocking chair shown has one thing in common. 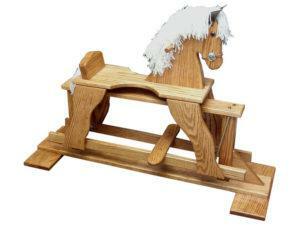 Amish cabinetmakers build them all from solid hardwoods. Like oak, maple, cherry and hickory. So the chairs are incredibly sturdy. In fact, the chairs are so strong, with proper care, they should serve several generations of kids. Also, they meet all required safety regulations. Full customization. 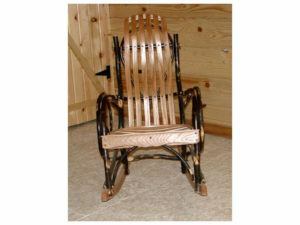 You can order any rocking chair, including a vintage child rocking chair, as shown or unfinished. 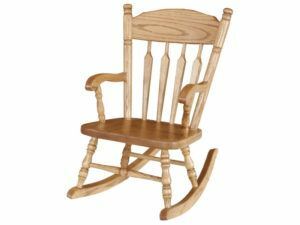 Or, you can order a personalized child rocking chair with the options you wish. For starters, you can choose the wood specie. Also, you can select the finish, and whether you want a glider or rocking chair. See for yourself. And if you ever find yourself close to Shipshewana, Indiana, make sure to visit our ‘brick and mortar’ store to see our entire line of child rockers, as well as our mission style furniture.